The interconnection between brand & customer. Weave your brand into the fabric of your customer’s day. That’s how you gain Share of Life™. We are in the midst of a marketing evolution that is moving much faster than most are aware. At one time, marketing was about contact. Then it became about engagement. Now it’s about inhabiting your customer’s world. Stan Rapp was the godfather of one-to-one direct marketing. As the co-founder of legendary agency Rapp Collins Worldwide (now RAPP), he practically invented one-to-one direct marketing. Sebastian Jespersen’s career developed in the age of engagement. He co-founded the global digital media agency, Vertic. Together they are redefining the way customers are created, nurtured and grown. In order to function in today’s marketplace, brands must change their focus from trying to trigger an immediate sale to understanding the consumer’s lifestyle and routines. This will not only change how they market, but how they do business, including what they offer, where they sell and how they deliver. The Share of Life concept presents a new set of imperatives for dealing with this life-changing moment. Embedding your brand into the customer’s new mode of existence – what we describe as gaining Share of Life – is the key to success going forward. Studies indicate that more than half the day is spent in front of a digital device. We live online. At a time when neural networks recognize spoken words better than people do, Gaining Share of Life rethinks the very nature of business activity in an ever-evolving digital frontier. Traditional thinking gets challenged every 20 years or so. In the 60’s we had mass marketing and a struggle for share of mind. The 80’s gave us the information revolution and database marketing. At the turn of the century, booming internet usage set the stage for digital marketing. Now, a generation later, life beyond the tipping point requires a different model. The time has arrived for a radical new concept we describe as Share of Life. The new measure of a brand’s strength is the share it gets of the customer’s attachment to the internet. The way to win the game is to gain and hold on to consumers who are obsessed with cyber activities. Think of Share of Life as the depth of a brand’s multi-screen presence in a person’s 24-hour day. The Share of Life doctrine calls for the brand and the consumer to benefit from creating value together online. Share of Life teaches companies to be so entangled in their customers’ lives that the brand rarely comes to mind. Full entanglement occurs when the customer interacts with your brand reflexively without even thinking about it, such as downloading from iTunes or streaming from Netflix or purchasing from Amazon. It’s just part of the customer’s day. That’s Share of Life. Slavish concentration on the smartphone recasts how companies acquire and retain customers. Far too often, the brand is out of sync with progress in the digital domain. Forrester notes that the fate of individual firms has never been more uncertain. They tell us that the window of opportunity is closing for companies unprepared to think differently. “Market dynamics favor those taking aggressive action and create risk for those who are still holding on to what has worked before,” state the researchers at Forrester. Mere engagement is yesterday’s news. The most far-sighted managers find ways to entangle the brand and the user in supportive, ongoing experiences. The greater the Share of Life online, the greater the chance of retaining a customer forever. Share of Life is more than simply developing a relationship between a brand and a customer. It strives to ensure that such a relationship will last a lifetime. Consider Share of Life as a paradigm shift taking place at the heart of brands within a digital-first age, an evolution from what marketers had traditionally known as ‘one-to-one’ marketing is now moving towards ‘one-with-one.’ Our rapidly changing digital age is constantly reshaping our attitudes toward brands and media, as well as our interactions with the world itself. In the past, products and services relied heavily on mass media, so that a generic message communicated to a wide audience would result in a potential purchase by some within that audience. We’re now experiencing a dramatic evolution of how brands and customers interact—more directly and even more intimately. With automation and artificial intelligence reshaping everyday life, consumers expect more from the brand, but they are also willing to do more with the brand. Closing an immediate sale has become secondary to making your product or service an essential part of the consumer’s digital existence. These were screenwriter Aaron Sorkin’s words describing what the founding of Facebook could mean for the way we live as a society. They’ve grown truer with each passing year, as companies have stepped up their efforts to put their online presence at the forefront of their brand. People now have more daily experiences online than they do in real life. Instead of speaking to co-workers, we send emails. Rather than paying someone in person, we send it through Venmo. When we book a trip, we use travel sites, not travel agents. “We increasingly do more of our shopping, more of our dating, more of our friendship-making, more of our learning, more of our news-seeking, more of our communicating and more of our selling goods, services and ideas,” said economist and Nobel laureate Milton Friedman as he described our digital reliability across all types of monitors and screens. Our online world provides a wealth of goods and services, so companies have now begun to strive for excellence in how their products are provided. Today, the brands that have surpassed all others are those that are digital by nature. Facebook, Amazon, Apple, Microsoft, and Google — without question – have all incorporated their brands into the daily routines of their consumers. Google, as an example, has entrenched its brand into consumer lifestyle by both anticipating and addressing needs even before they’re recognized by the people who have them. When Google finally introduces its long-awaited self-driving car, users will immediately understand the benefits of reading, working, or sleeping while commuting in the privacy and home-like feel of their own vehicle. By inserting itself into a new part of the consumer’s life and adding value where it has not been active before, Google will continue to gain greater Share of Life. Google focuses on adding value to things that consumers already want, such as an easier ride to work. Google’s Share of Life crosses multiple activities or areas of a customer’s life. Google, of course, is more than a search engine; the company now produces phones and cars, while helping us navigate with Google Maps and connecting us through Gmail and features like Google docs and spreadsheets. 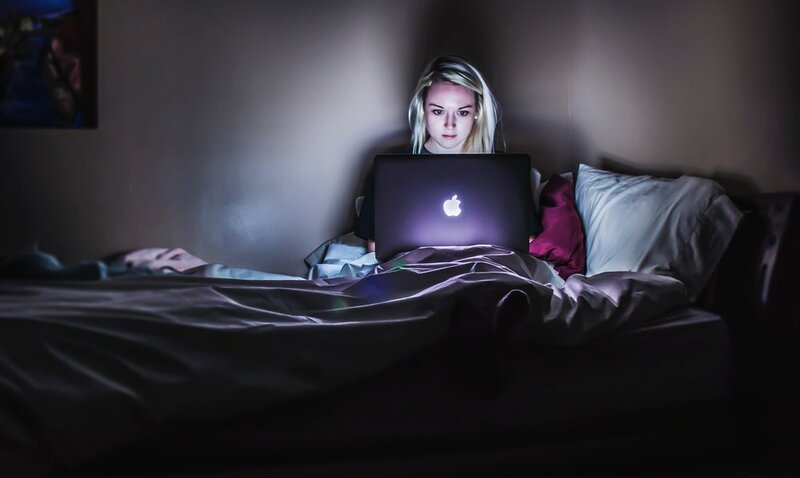 Through basic need-filling and smart planning, there is seldom a 24-hour period where someone does not check their email, use Google Maps or perform a Google search. That’s significant Share of Life. Jespersen and Rapp first conceived of “entanglement” by watching the evolution of Facebook, Amazon, Apple, Microsoft, and Google, the “Fabulous Five” of transformational companies. Consumers immediately recognized their extraordinary usefulness and willingly incorporated these brands into many aspects of their daily lives. The Fabulous Five set a new standard for how brands could use an “entangled marketing” model to effectively serve their consumers’ needs for a lifetime - literally. They saw that most brands were simply attempting to sell products, goods, and services that were not needed by those looking to buy. However, evolutionary change often has unexpected consequences. Facebook was founded on the mantra “Move Fast and Break Things”. They’ve positioned themselves from the beginning as a One-with-One platform seeking an ever-increasing Share of Life. Users bought into Facebook as a way to deepen and expand their connections with other people. The recent exposure of their many data privacy issues demonstrates that they’re also the most advanced and sophisticated One-to-One direct marketing model out there. Headlines that call out yet another lapse in their stewardship of personal information erode public trust. Jespersen and Rapp feel that Facebook must slow down and fix what’s broken in order to regain their customer’s confidence and maintain a position as a Fabulous Five league player. Meanwhile, Amazon’s evolution underscores the importance of a relevant business-to-consumer relationship. The company has morphed from its beginnings as an online bookstore to a global marketplace and an original content distributor. Amazon has reached a point where customers are not only looking at what it sells but what it creates. Companies have tried for years to reach consumers through traditional methods such as television, print, and radio advertising. They focused on showcasing product features in an attempt to induce a sale. It worked for a while. This arms-length relationship is now a thing of the past. The digital transformation provides marketers and professionals with endless quantities of insightful data on how we live our lives. It has engendered a closer relationship between brands and consumers. We are moving from the Information Age to the Age of Entanglement. Amazon is expanding its role in people’s lives. Order anything online from diapers to diamonds, consume video entertainment, follow fashion trends, be a gamer, read e-books, get help from a personal digital assistant, and shop at newfangled grocery stores without cashiers. There are so many more innovations in the works. The brand’s Share of Life is about to go up another notch. The recent acquisition of PillPack, an online pharmacy, takes Amazon into health care. Brick and mortar pharmacies have reason to be nervous about their soon-to-be competitor. We see the business press agog with talk of Amazon’s global dominance and awe-inspiring growth. But the commentators are missing what is at the heart of the tech giant’s brand supremacy. No other business can match the extent of Amazon’s Share of Life as it plays out in the digital realm. What’s next for Bezos? We predict moves into more of health care and into banking. Each new entanglement expands the brand’s presence in the lives of 100 million subscribers to Amazon Prime. The battle for Share of Life never lets up. Hardly a month goes by without a member of the Fabulous Five moving into the domain of one of the other digital movers and shakers. When Amazon introduced the Echo with the instantly popular Alexa digital assistant, Google followed swiftly with its own smart speaker with the Google Assistant. Apple took to beefing up what Siri can do for you. Only time will tell who wins a place in your life as the most trusted electronic concierge. The brand and customer have an opportunity to become an entangled pair as a result of this digital empowerment. It’s a concept that allows both an individual and a brand to build on what the individual wants. Smart marketers embrace it. It goes past engaging customers to nurturing a lifelong relationship through meaningful Share of Life. But this new paradigm is not limited to how the Fabulous Five achieved their dominance. The Share of Life ecosystem can also be seen at such notable startups as Harry’s, DietBet, Tasting Table, Warby Parker, BarkBox and Casper. Our name for this group of go-getters is “The Awesome Six.” In a single decade they turned the tables on frontrunners in industry after industry. There is more than one way to measure Share of Life with your customers. Arriving at a truly entangled relationship takes place both horizontally and vertically. The difference lies in whether interaction with the user’s internet-focused life happens across a number of different activities or is limited to a singular interest. Google’s horizontal Share of Life online extends across countless facets of an individual’s life. 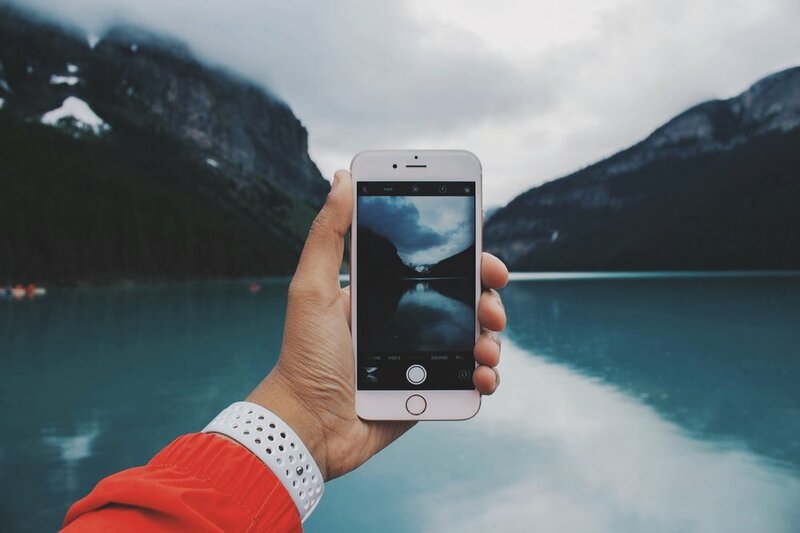 You can roam the internet with Google Search, entertain yourself with YouTube, navigate the world with Google Maps, learn a language with Google Translate, or power your phone with Android Apps. The list goes on. Vertical Share of Life seeks to deepen the brand’s support of a person’s particular passion. DietBet dives into every aspect of weight loss. Tasting Table appreciates your love of wine. Gaining Share of Life vertically often is about Share-of-Passion. What about your brand? Does a vertical or horizontal mindset work best? Will it be an all-encompassing plunge into an individual’s life or dedication to a single aspect? A new era demands a new set of priorities. Done properly, the brand’s Share of Life or Share-of-Passion can be expanded indefinitely. What follows is an understanding of the process. How well you apply the attributes of the Share of Life creed can be critical to success in the digital age. We’ll show how both B2C and B2B companies cash in on this game-changing doctrine. Begin the journey to a lifelong relationship between your brand and your customer. Facebook, Amazon, Apple, Microsoft, and Google are constantly moving deeper into our daily lives. Let’s take a quick look at the necessary elements to growing a greater Share of Life. One element of the journey is to achieve Zero Degrees of Separation by closing the gap between brand and consumer. Simple demographics are no longer enough in today’s complex marketing environment. Market researchers and consumer experts are now delivering more than just numbers. They are analyzing giant data sets to provide information that can be acted upon by all divisions of a company that work with customers and prospects, including behavior patterns, product usage and trend forecasting. They are leveraging Artificial Intelligence and Machine Learning in order to provide critical insights and opportunities. The brands that are winning are those that achieve zero degrees of separation with a customer by essentially incorporating the brand into the person’s lifestyle and daily routine without being perceived as intrusive. Marketers need to seek more granular insights into the needs and pains of their consumers to close the gap from arms-length to zero degrees. Doing so will uncover new areas where brand messaging can yield a higher degree of resonance. The ‘One-to-One’ direct marketing strategy has evolved into the ‘One-with-One’ entangled marketing relationship. The word “to” implied that there had to be opposing sides. There are no need for opponents in marketing. When a brand and a customer become friends, the relationship takes off, and will often endure to the satisfaction of both. The brand’s insights into the customer’s desires fuels this evolution. A “data companionship” with both the consumer and the brand only serves to strengthen the relationship and keep it relevant over time. Under Armour is betting on the notion that the right hardware, combined with large data sets enhanced by machine learning and powerful motivational tools can enhance their customers’ lives and the company’s bottom line. Under Armour sells athletic gear. They provide an app free of charge called Record that customers can use to track their daily fitness routines and goals. User data gleaned from the app is used to develop precise recommendations for individual consumers. They are creating products and services with the consumer, not just for the consumer. The company can spot trends as they unfold and respond to market demands in real time. By becoming entangled in their lives, they’ve proven that everyday athletes want to know more about the brand as well as do more with it. In today’s world, there must be a stickiness in the brand-to-consumer relationship. They cannot be on opposing sides. A great example is the company’s new effort called Make Athletes Better. The brand has launched a new line of clothing that literally turns human performance into big data. In fact, Under Armour is no longer just a manufacturer of high-quality sporting clothes, but has transformed into a high-tech fitness partner enhancing your life and workout experiences. The third element needed to gain Share of Life is for brand and customer to become an entangled pair, a term Jespersen and Rapp borrowed from the world of quantum mechanics. In other words, whatever effects one, effects the other. Both the brand and customer emerge as winners in the relationship. In ‘One-to-One’ marketing, brands and customers had separate definitions of success, where brands would get paid and customers would get a product. This antiquated definition of marketing is no longer the goal of the relationship. Instead, both sides are interested in gaining value and satisfaction, so that brands are rewarded with higher levels of customer loyalty while customers are provided with excellent goods and services. The more you entangle people through rewarding, value-adding experiences, the greater share you will receive of that person’s life. This entanglement will only create further growth for a brand as it evolves into other aspects of a customer’s daily existence. Just like the five digital leaders we’ve cited, a company should not stop at filling one need, but should look to fill other needs that a person may have on a routine basis. When a brand can take part in solving persistent problems of a customer, the entanglement only becomes stronger and has the potential to go on for future generations. When it comes to applying Share of Life doctrine, the leading trailblazers are Amazon, Microsoft and Apple. It may well be one of the reasons these three titans were first in the world to hit a valuation of one trillion dollars. Whether your brand is operating vertically or horizontally, there is a simple yet impactful framework that can be used to put the Share of Life concept into practice, which we call the Share of Life C.R.E.E.D. Commitments come in many forms and include both existing customers and prospects and can be categorized by type, such as intellectual commitments and opt-ins, financial and transactional commitments or strategic partnership commitments. After defining and mapping customer commitments, there is a need to plan how to create mutually beneficial relationships with strategically important commitments. Start by giving something back to customers and prospects who have shown a commitment. This will move relationships from a single commitment to an ongoing commitment. To accomplish this, the company needs to engage in meaningful, relevant communications and interactions that are based on data and insights. “Buy and say good bye” was the operational model in the analog past. Digital tools make it easier than ever for brands to get consumers to “Buy and Stay” now. The strongest commitment you can get upfront is the signup for a subscription. Nobody does better than Amazon with its Prime program to create ongoing commitment by enthusiastic users. The revolutionary approach was launched in 2005. Subscribers got free two-day shipping for their e-commerce orders at an annual charge. The program has evolved to include a dazzling array of added benefits enjoyed by a hundred million members. With Prime, you keep getting more - and paying more. What Amazon gets is a gold-plated ongoing commitment with an annual fee paid in advance. The faithful consumer and the e-commerce giant share a deeply entwined existence. Yet, a subscription model is not always enough. It will remain a share of wallet not a Share of Life if not done properly. Early adopter Birchbox fell into this trap. It believed that a financial commitment from their customer every month was enough. It wasn’t. It was easy for competitor Ipsy to outperform Birchbox by simply focusing on empowering their existing customers through a beauty community. Instead of chasing new customers, you must create marketing programs that retain and empower existing customers for a successful subscription strategy. Doing so helps generate word-of-mouth through customer satisfaction, which in turn will attract new customers. The second Share of Life credo is nonstop reinforcement. Consciously reinforce the strength of your customer's commitment to your brand. Bolster whatever first attracted the consumer to your offering with a burst of beneficial surprises online. It's critical to make the customer feel special and to build trust by always listening. Looking at today’s business scene, we found a contender that outdoes even the mighty Amazon in boosting Share of Life with nonstop reinforcement of what brand and user do together – the New York Times. With a record number of subscribers, the focus shifted to reinforcing the value of a subscription. Romancing the reader began with a massive giveaway of the remarkable cardboard VR headset created by Google. This unexpected bonus for more than a million print subscribers arrived along with the Sunday paper. People loved it. Then, a few months later, the headset giveaway was mailed to 300,000 digital-only subscribers. 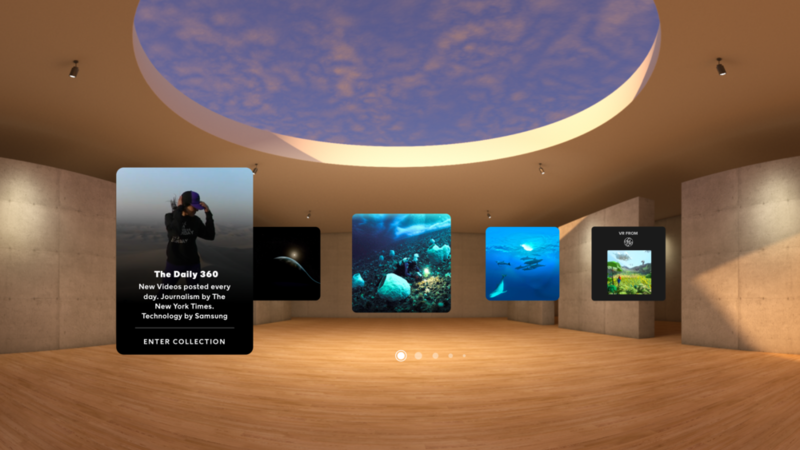 Readers became viewers of VR films produced by Times journalists. The first documentary “published” was about three children set adrift by war. Since then more than 20 VR films have been created. All of the above adds up to unrelenting reinforcement of the Share of Life enjoyed by NY Times with subscribers. This nonstop reinforcement makes subscribers feel like privileged members of an exclusive club. For the Times, it creates a Share of Life with subscribers that goes well beyond reading the daily paper. After all, when is the last time your brand sent a meaningful thank you to your best customers? How often do you reinforce the bond with your users? Without nonstop special treatment you may see your Share of Life with users slip away. In October 2018, The New York Times Company announced that it had surpassed 4 million subscribers. Nonstop reinforcement created by Cotton’s team is going to boost Share of Life far into the future - while other papers are likely to watch their Share of Life with readers diminish. The new digital life of customers provides the brand an opportunity to attain zero degrees of separation through data and insights and by doing so understand what’s important for the customer. Empower the internet-focused customer with rewarding and enlightening online experiences that leverage data and insights, so they can do more with the brand's product or services. Our choice for No. 1 champion in digital empowerment to shake up a sluggish category is John Hancock. The insurer began changing how life insurance is viewed with the launch of the John Hancock Vitality program in 2015. Adding years to their consumer’s life became the new mantra for selling a policy. Make the $25 first payment. Next, walk, run, bike, swim or do your exercises with the support of the watch deigned to improve your health every day. The Vitality Points you earn serve as monthly payments for the watch. About half of the Vitality members end up paying $0 each month. Once Vitality members began relying on feedback from their devices, their step count on average increased by 2,000 steps a day. Research indicates a 20 percent gain in other physical activity as well. From the point-of-view of the insurance company, the longer a person lives, the longer premiums are collected. The greater the number of payments, the greater the profitability of the policy. Another plus for John Hancock is the likelihood of satisfied members of the Vitality program dipping into other financial products. From the insured person’s point-of-view, there is better health, longer lifespan and lower cost for insurance. Both sides win with digital empowerment. Added Share of Life leads to added Share-of-Market. John Hancock and the Vitality program member are an “entangled twosome” in a mutually rewarding, lifetime relationship. To highlight an even deeper entanglement, notice how the fitness devices also become more entangled in one’s life. It’s a symbiotic relationship between brands. How might you empower the buyer of your product or service? Who might you partner with to tap into the most potent digital technology out there for inventing a never-seen-before experience? The excitement that first surrounded a breakthrough product or service may be long gone. So, what do you do to keep your Share of Life with customers from drifting away due to the mind-boggling distractions of the Internet? Automated communication will not create the sufficient excitement to build a bond that keeps customers coming back. The answer is obvious. Bring about tribalizing excitement. But most companies rarely do it. Only the Fabulous Five do so to perfection. Can anything equal the hoopla surrounding release of the latest iPhone? Or the excitement of a wildly trending video on Google’s YouTube? Or the anticipation of Amazon opening brick and mortar stores that look like your online shopping cart? Sophisticated technology and insights will help brands understand how they can authentically add value to what is deemed important in their customers’ professional lives. A simpler way of adding value and excitement is through providing thought leadership in a compelling format that leverages new ways of interactive communication. It can provide the needed customer excitement that will forge entanglement because the brand feels right and does right by the consumer. The fifth and final tenet of the Share of Life CREED is development. Nothing remains the same for very long in the digital economy. The ongoing shift in the customer’s behavior enforces a constant and ongoing development of communication programs as well as product innovation that leverages the continuing introduction of new technologies. Using VR and AR for interactive storytelling, or introducing new services and products co-innovated with customers are all examples for Development. Such development must be always-on and constantly be providing customers with compelling opportunities that allow them to do more in their lives. A great example who has mastered the development is Warby Parker and their $1.2 billion success story. 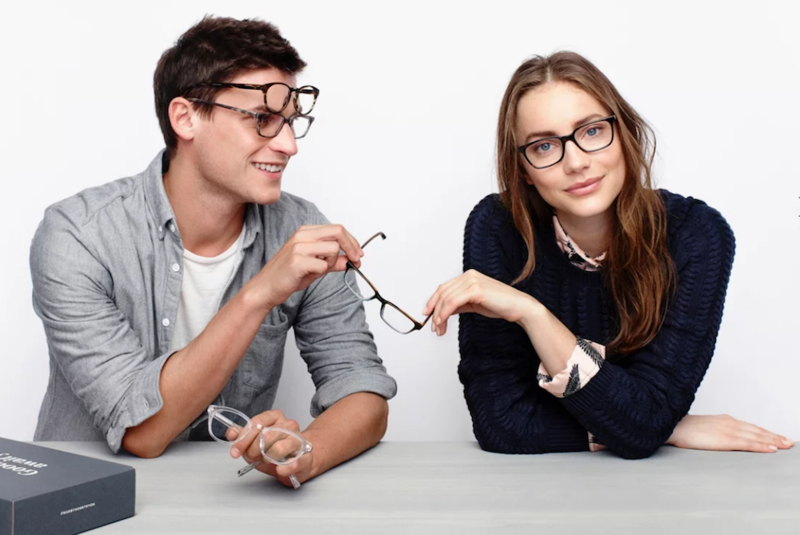 Warby Parker has built an empire by constantly developing miracle moments into the buying glasses experience. 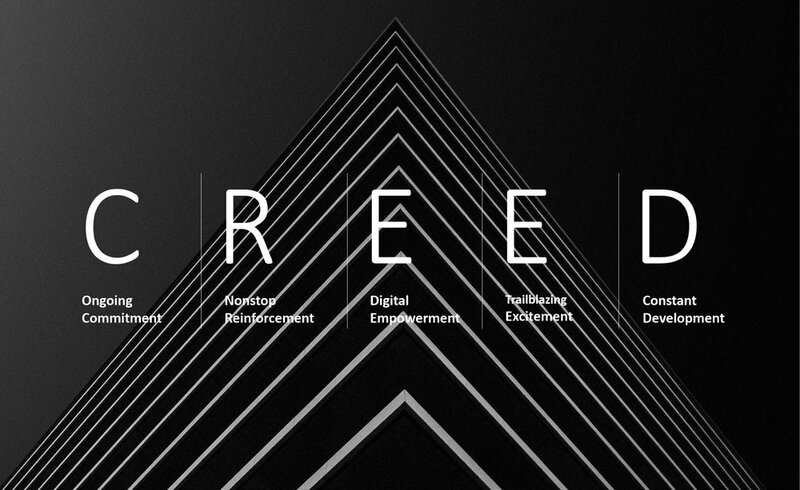 Any brand, whether it is B2B or B2C, in retail or in oil and gas, is able to apply the CREED framework and is capable of earning Share of Life™ with its customers. Starting points for improvement can be found in the tenets of the Share-of-Life CREED: create ongoing Commitment, create nonstop Reinforcement, create digital Empowerment, create renewed Excitement, and, finally, create major Development. Excelling in as many of these precepts as possible can impact Share-of-Life with customers - the foremost imperative in marketing supremacy. In effect, brands and customers are now joining together to provide value to each other. Whether you are a B2C or B2B marketer, the art of your practice has changed for the better. A new era demands a new set of priorities. Done properly, the brand’s Share-of-Life or Share-of-Passion can grow indefinitely. Gaining Share-of-Life is a clear pathway for coming out ahead in an Internet-focused society. With customers today being digitally obsessed individuals, marketers and business managers must recast long-held beliefs.